This sturdy hot dipped galvanized bucket is watertight and rust proof, making it ideal for outdoor applications such as feeding small livestock or storing large tools. It can also be repurposed as a cooler for up to sixteen drinks at your next tailgate or cookout or used to store paper towels and cleaning supplies. 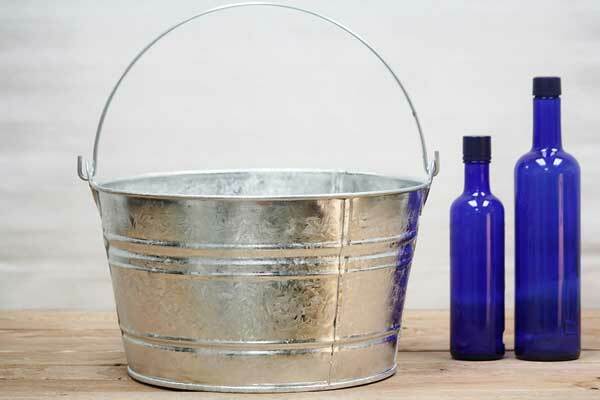 We also offer a smooth-finished 4.25 galvanized version of this large bucket. We use this to carry veggies out of the garden. This is the perfect size for our small garden. On top of being the perfect size it also doesn't dent when we drop it.